Even though we have been experiencing hotter than normal weather for the end of September/beginning of October, Fall is in the air. Everyone's favourite fall celebration, Thanksgiving, is just around the corner and I have something for you that can help you save on your shopping list for your Thanksgiving family feast! Flipp allows you to create custom shopping lists based on items from your local store flyers. 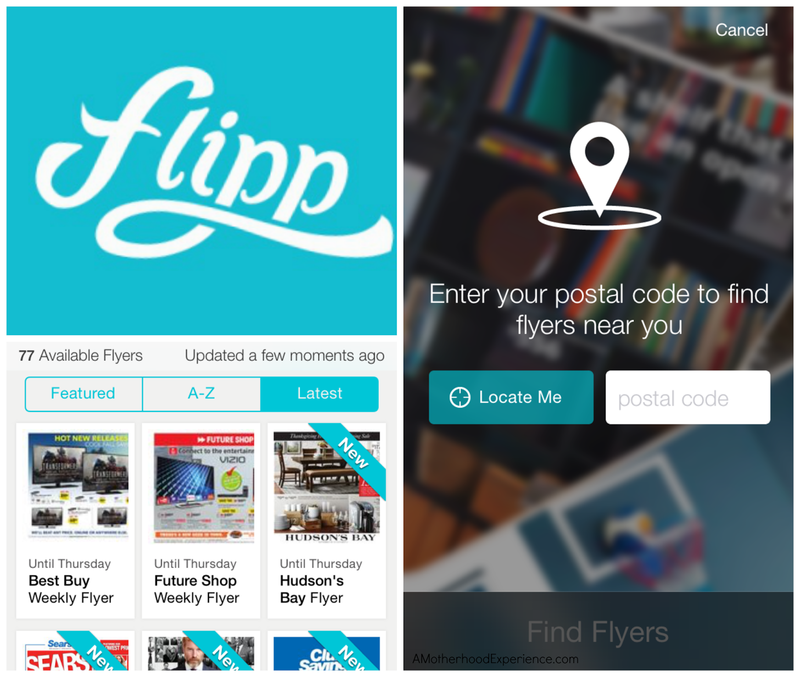 Flipp can find your local flyers by using your location servics on your smartphone or you can input your postal code. stores are going to expire, saving time and money. 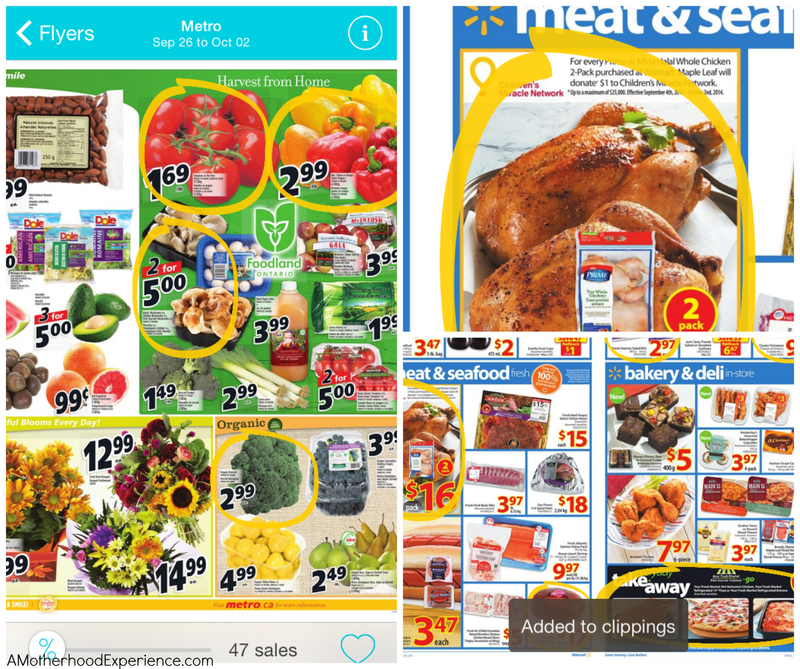 You can create clippings by tapping on the item, you can take clippings from multiple stores if you don't do all your shopping in one stop. No more making pointless shopping lists on paper that you'll most likely forget at home anyway. Just download the Flipp app and get started on your savings today! Make it all about savings this Thanksgiving, in fact - make it a #Flippsgiving celebration! Flipp app users across Canada have a chance to win a special #Flippsgiving prize! All you have to do is download the free Flipp app and Tweet (@getflipp) or Instagram (getflipp), a Thanksgiving themed photo. 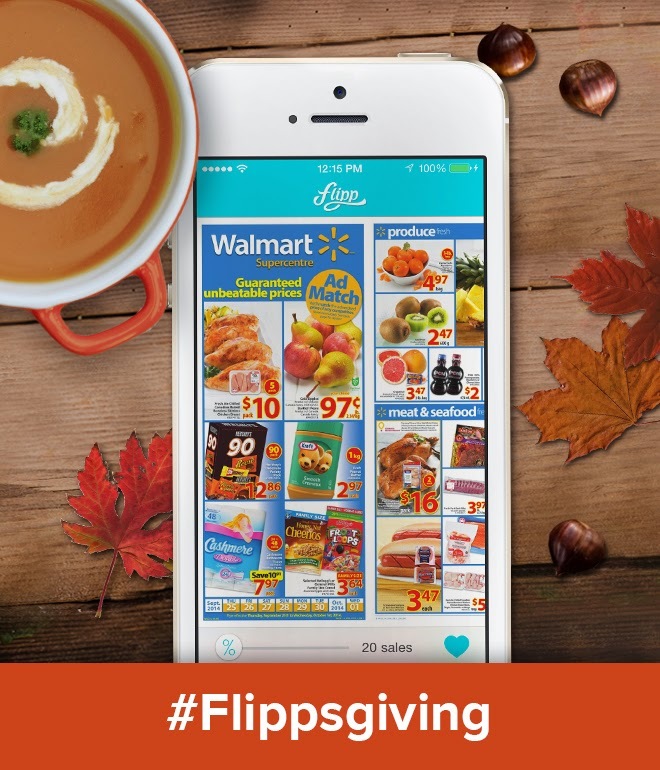 Be it shopping, decorating, cooking or serving dinner etc OR share a thanksgiving savings tip you learned using the Flipp app! Make sure you use the hashtag #Flippgiving on Twitter and Instagram for your chance to win a $250 gift card! Winner will be announced on Tuesday, October 14th! And for even more #Flippsgiving celebration, @getflipp is hosting a Twitter Party on October 7th from 9-10pm (EST). Party goers can share family traditions, give and get tips for shopping, cooking and saving etc. There are 2 $50 gift cards are up for grabs for those who participate in the Twitter Party! You can download the Flipp app right now for free on iTunes or Google Play! Sponsored post on behalf of Flipp app. Compensation received for posting however comments and opinions on this blog are honest and those of the author. 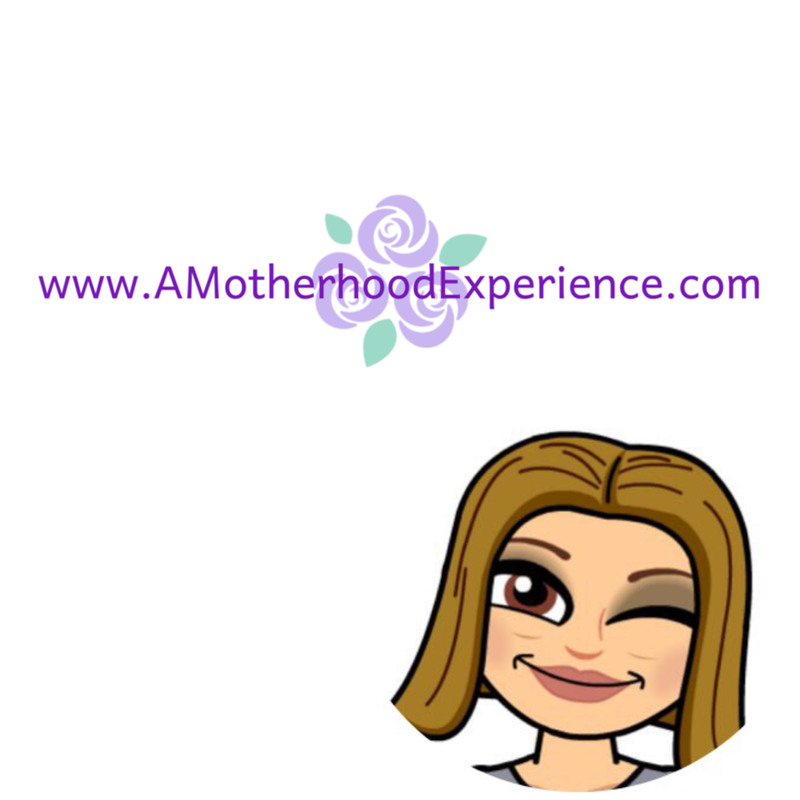 great prizes for the contest and twitter party! Hmmm....very interesting. I need whatever I can to keep my deals organized. I'll go look at this. Thanks for letting me know. What an awesome app! I'v been looking for something just like this - specifically for coupons/savings, and organization. I'll be grabbing this app now! :) Thanks!